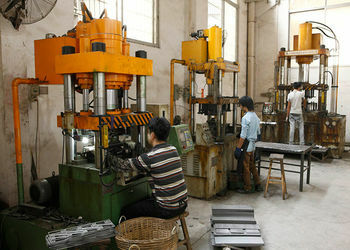 Factory Tour - Guangdong Kareway Medical Technology Co., Ltd.
Kareway launched into some big scale of equipment and machinery, such as the plastic processing equipment, hardware and molds machining equipment, automatic robot welding production line, automatic spraying production line and finished products assemble line to realize the complete set of care bed made by ourselves and ensure the production quality under our own control. 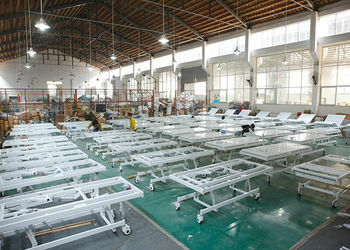 Since 2013 our company introduced the automobile manufacturing Welding robots to medical beds manufacturing. 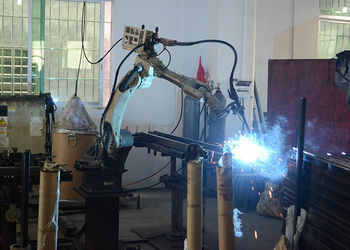 So far, we have more 10pcs scale of our robot robot from Japan imports First medical industrial production lines in China, it recognizes 100% Robot welding metal parts of the medical bed. 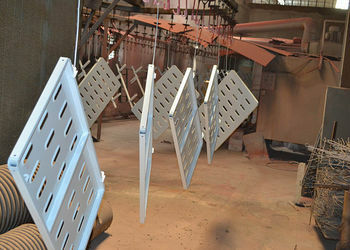 KAREWAY introduce the complete set of professional automatic environmental protection coating equipments into the medical bed metal surface disposal, and strictly execute 36pcs disposal technics procedures, the total length of the whole equipment procedure is 260m, the equipment scale and professional level are top-class in same industry. 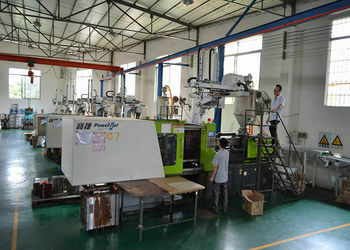 KAREWAY bought more than 15pcs of large-scale injection moulding machines, large-scale blow moulding machines, furthermore, it holds large-scale moulds workshop, the own design, manufacturing molds. 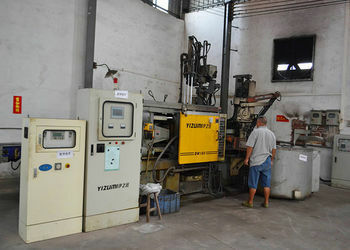 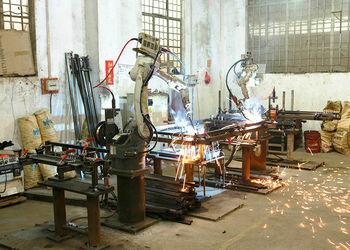 In order to maintain our strong R&D ability and innovation ability, KAREWAY invested a large amount of money to set up the mould processing center ,meanwhile, we imported many precise mould processing machines such as CNC process machine, Sparking machine, High-speed precise engraving machine,etc.All the moulds which used to produce plastic components and hardware components are designed and produced by ourself. 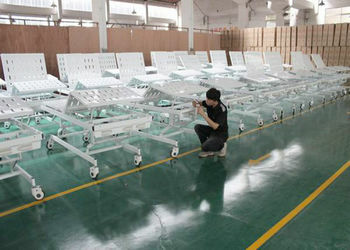 KAREWAY is the enterprises who can realize the finished production from the mold manufacturing to product manufacturing in the domestic medical bed industry. 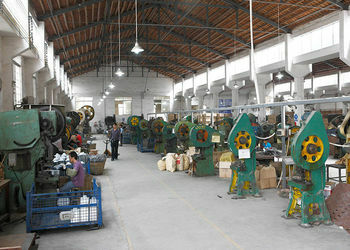 Innovation is always KAREWAY tradition and core competitiveness. 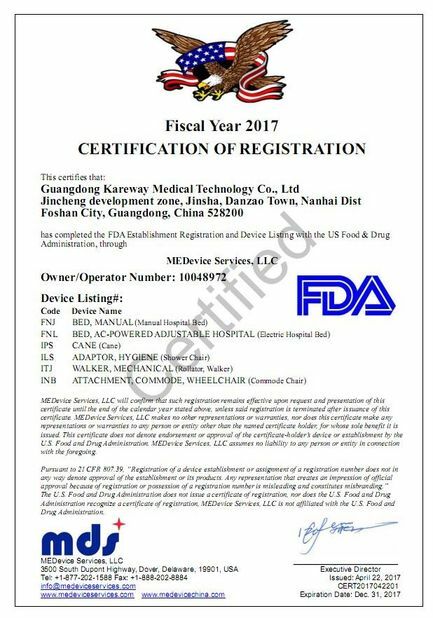 KAREWAY becomes a veritable high and new tech enterprise by continuously investing on the new products R&D and build up a high qualified & abroad vision of R&D team. 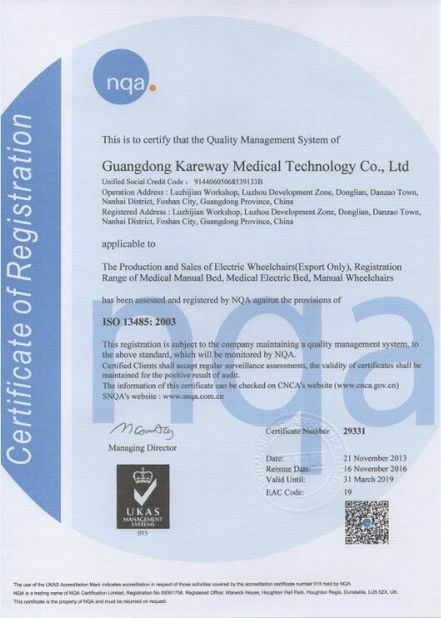 KAREWAY also established the scientific and high efficiency of innovation technology management system, which enable KAREWAY to keep ahead in the same Chinese industry line and obtain tremendous achievements. 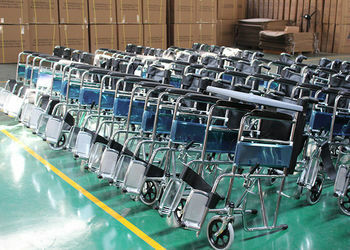 Now we awarded 4pcs invention patents and more than 100pcs utility new model and appearance patents, and developed a wide range of competitive with intellectual property rights products. 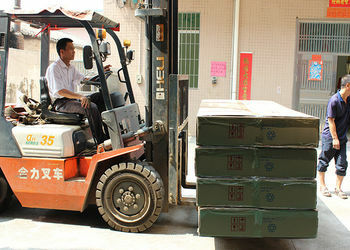 KAREWAY owns the strong power to compete with the world-famous brand.